Khala, or ཁ་ལག།, means "food" in Tibetan–and was the inspiration for Khala Cloths, a reusable food wrap to rival any single-use plastic wrap! Khala Cloths' founders wanted to pay homage to the meals and companionship they experienced during their many years working in Tibetan communities, so they've continued that spirit of giving through their partnership with 1% for the Planet. Moldable with the warmth of your hands, these food storage wraps are a modern twist on an Egyptian classiRead Morec: using beeswax for food preservation. 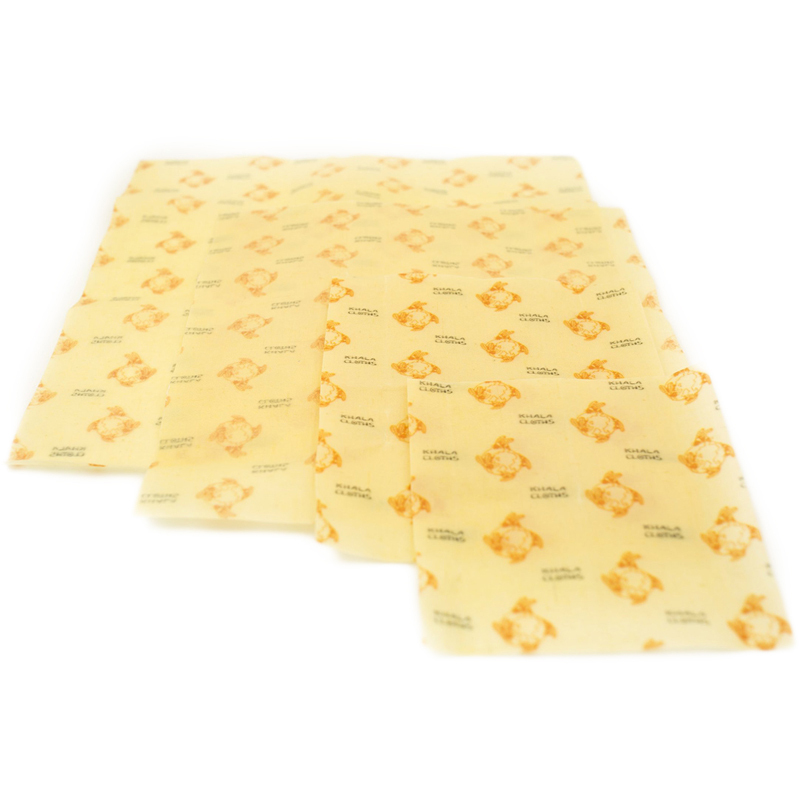 Made from a cotton-hemp fabric with infused beeswax, coconut oil, and natural tree resin, this Variety Pack of Beeswax Wraps can last hundreds of uses with proper care. 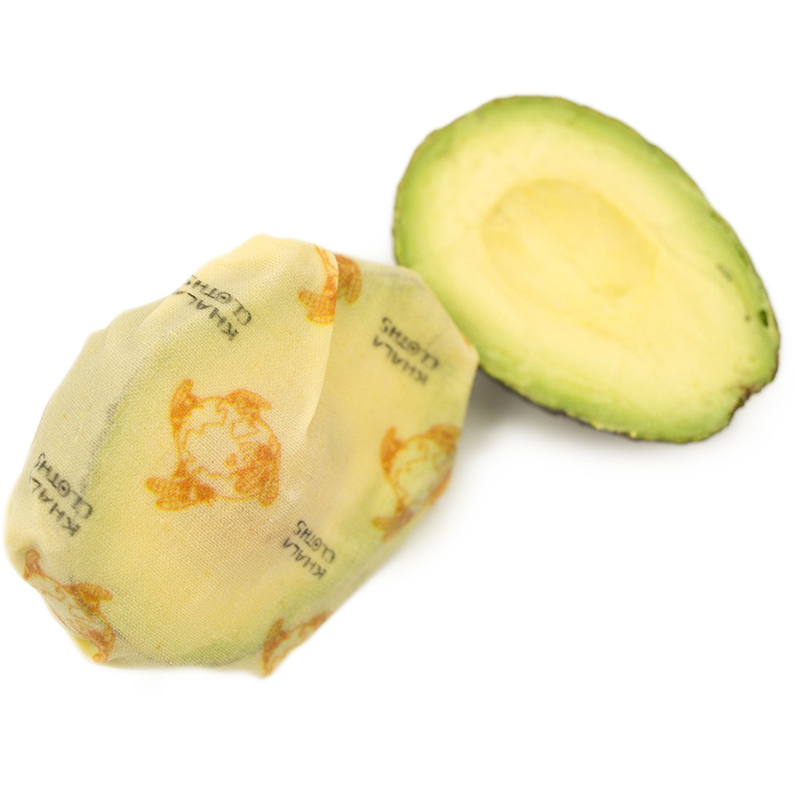 Plus, they're 100% plastic-free and compostable at the end of their life! Khala Cloths will have a long life when cared for! Wash with cool water and eco-friendly soap. Hang dry or pat dry with a dish towel. Keep Khala Cloths away from heat, including hot foods, dishwashers, microwaves, and ovens, as they can separate the wax infused into your wraps. Mini: 6 x 6 in. Small: 7 x 8 in. Medium: 11 x 11 in. Large: 13 x 13 in. The special blend of natural waxes, coconut oil, and natural tree resin adheres to itself, keeping food fresh until you're ready to eat it! Khala ཁ་ལག། means food in Tibetan. But why did co-founders Tamar and Asa McKee choose this for their company name? Inspired by many years working in Tibetan communities and the many meals generously shared with her, Tamar wanted to pay homage to her time in Tibet with their new company, Khala Cloths. 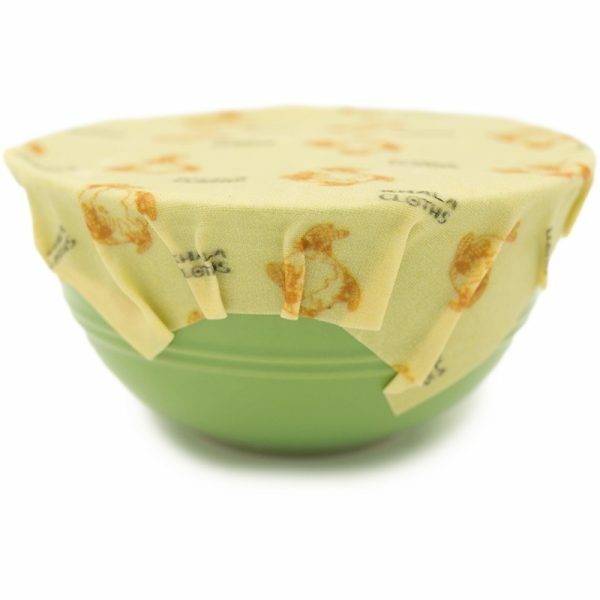 While beeswax has been used for centuries to preserve food, Khala Cloths has given the classic beeswax wrap a modern twist. With two versions, vegan and classic beeswax, Khala Cloths always starts with a GOTS Certified organic cotton and hemp fabric blend. 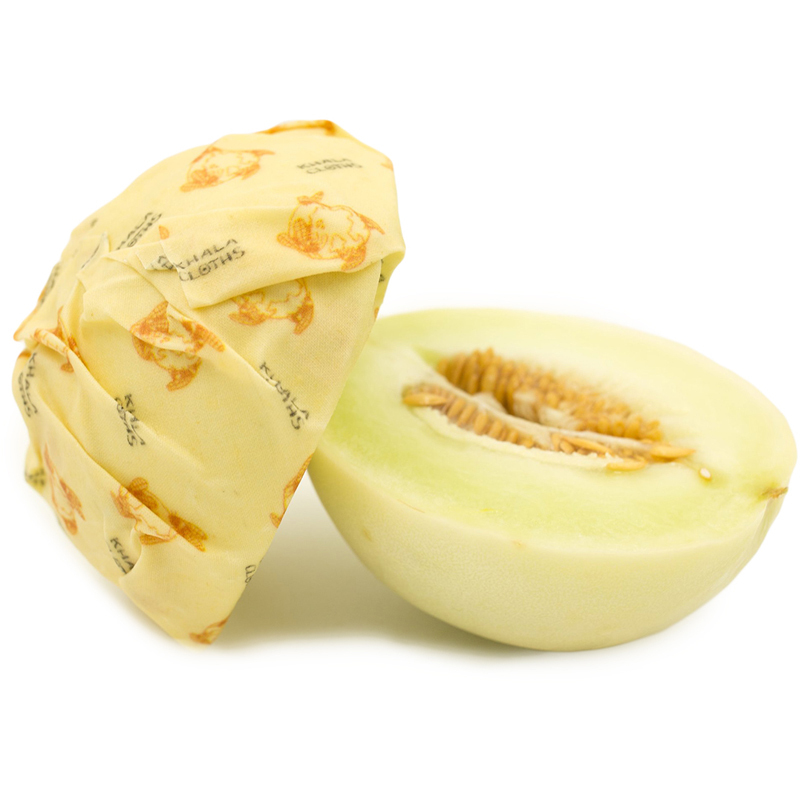 From there, they either infuse a blend of sustainably harvested beeswax and natural oils, or 100% plant-based tree resins and coconut oil for their vegan wraps. They don’t use any chemicals or bleaches–leaving their product the way nature intended. Reusable, washable, and biodegradable. Honor your food with Khala Cloths.